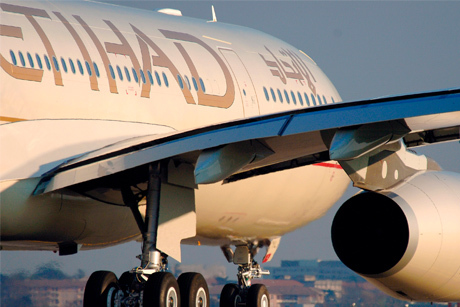 Etihad Airways has appointed Bell Pottinger as the airline's agency in the UK. The appointment comes after the airline ceased working with Four Communications for its UK corporate and consumer work, as reported in PRWeek earlier this month. At the time, PRWeek revealed that several agency sources had suggested the airline was lining up Bell Pottinger to take on the account. Michael Venus, Etihad Airways’ vice-president of corporate affairs, said: ‘Bell Pottinger has an outstanding record of helping to build global brands in the travel and transport industry. ‘Its experience is second to none and together we will be looking to deepen relationships with key stakeholders and communicate our success story to an even wider audience. So far in 2012 Etihad Airways has acquired minority equity stakes in Virgin Australia, Air Seychelles and Aer Lingus, and owns nearly 30 per cent of Air Berlin. David Wilson, group MD of Bell Pottinger Private, who will oversee the account, said: ‘Etihad Airways has a world class product and customer service record that stretches beyond its existing and growing number of loyal customers. Bell Pottinger Business & Brand’s specialist aerospace team will provide strategic comms counsel, plus corporate and consumer PR output in the UK, while Bell Pottinger Public Affairs will also support the Abu Dhabi-based airline with political analysis and engagement. The team will also help to maximise Etihad Airways’ high profile sponsorships, including 2012 Barclays Premier League champions Manchester City, the club’s signature Etihad Stadium, and Harlequins, 2012 winners of rugby’s Aviva Premiership. In Abu Dhabi, Four Communications, led by Ray Eglington, the company’s international MD, will continue to provide corporate PR, strategic advice and issues management support to Etihad Airways.